We do recommend trying more than one type of nappy to start with. 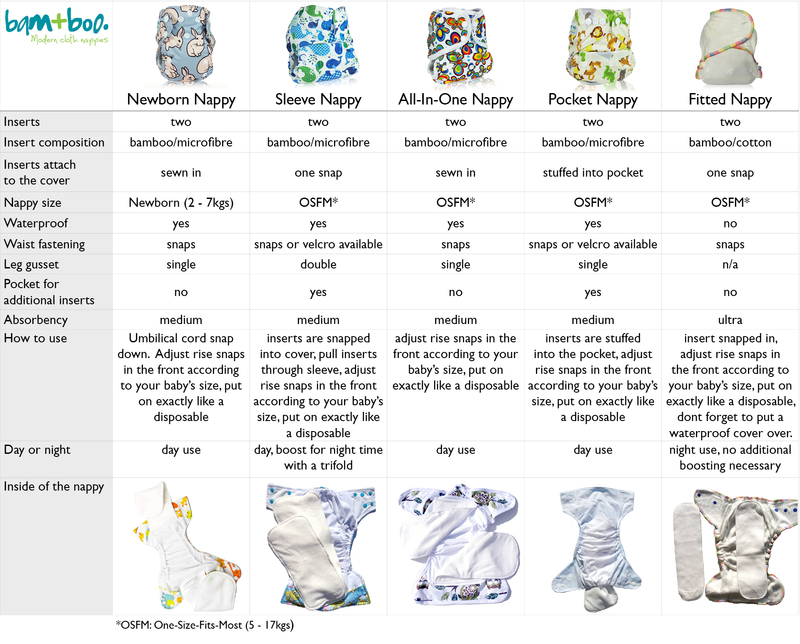 As all our nappies are cut slightly different and have different absorption rates you might not know which nappy works best for you and your baby. Please visit our Nappy Kit section for discounted variety packs. Cloth nappies are mistakenly perceived as wet, unhygienic and leaky overnight. 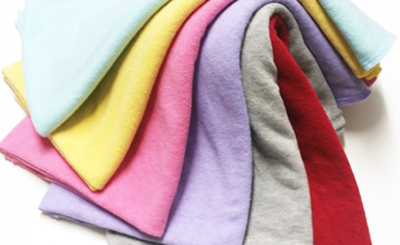 The great news is that fabric technology has evolved, and all modern cloth nappies can now have a stay dry fleece liner that keeps baby’s bum dry. 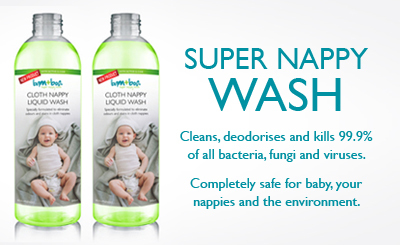 Regarding nappy rash, if baby is dry and in a chemical free fabric then rashes will be greatly diminished. You will still need to ensure baby is changed often enough and nappies are thoroughly washed. When using washable nappies overnight, all you need is more absorbency. As the absorbency of modern nappies can be adjusted it is easy to add more by using a booster or Trifold. – Attractiveness of the nappy. Fitted Nappy – The entire nappy is made of bamboo and cotton which is ultra-absorbent and comes with 2 inserts. Nappy is not waterproof and requires a cover. Cover – PUL outer (waterproof) to fit over a Fitted nappy. OSFA – “One Size Fits All” – fits from 5 to 17kgs. Still can’t decide? Then send us a message and we will be happy to talk to you about your options.